The Agency was established in 1994 and is owned and run by Rebecca Haworth-Wood. 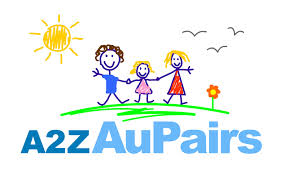 A2Z Au Pairs is more than just an agency: We provide an ideal way for you to find an au pair to help with your childcare. We can offer you the assurance that we want the very best for our families and Au Pairs, and will bring all our expertise into helping you to find an Au Pair that is just right for you and your children. Whether you need an Au Pair who drives or perhaps want to host an Au Pair couple we do our best to find you the most suitable Au Pair matches to chose from. We personally match our families and au pairs and we understand that your time is valuable and that you only want to view relevant au pair matches . Our Au Pair Agency offers FREE family registration because we understand that you need to assess the Au pairs we have to offer before committing to using our Au Pair Agency - it is important to us that you choose the best person to help your family and we PERSONALLY MATCH suitable Au Pairs for you to choose from. We encourage you to interview as many Au Pairs as you wish and our placement fee is only payable if you then confirm acceptance of one of our Au Pairs. Although not based in London, our Au Pair Agency service covers the whole of the UK including rural locations as well as London and other cities. You can phone our office during normal working hours and our customers benefit from our 24 hour emergency helpline. Our placement fee is not just for the initial au pair placement - we want you and your au pair to enjoy your time together and we are her to support and look after you both. We provide a very comprehensive welcome pack for when the Au Pair arrives and we are here for advice and guidance once your Au Pair has joined your family - We want you all to have an enjoyable experience and to back this up we offer a FREE Au Pair replacement in 1st month.